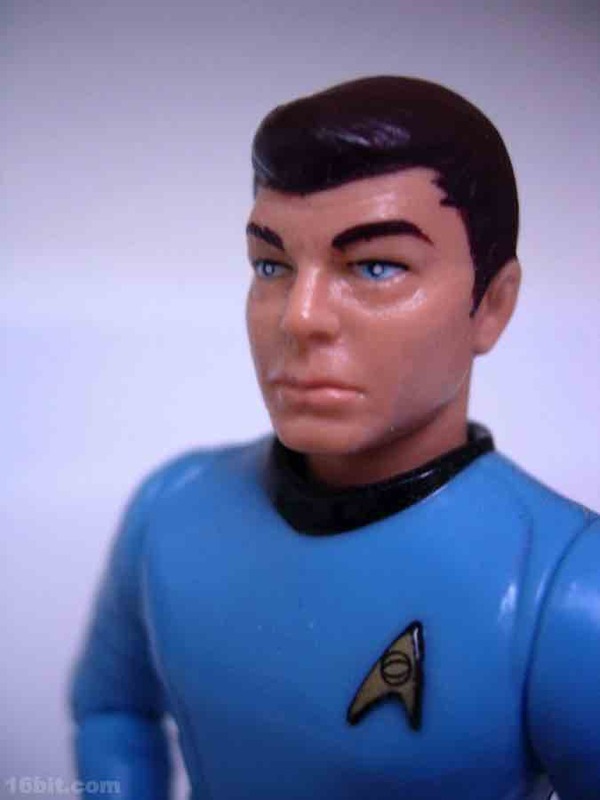 Continuing our ongoing look at the Classic Star Trek boxed set is this 5-inch tall incarnation of Dr. Leonard McCoy, which was one of two versions of the character released early in their run. The other was based on the super-old version seen in the episode "Encounter at Farpoint," which is also pretty good-- but he didn't do much. This younger version of ol' Bones was a little more active. 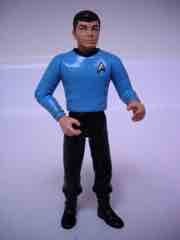 Every figure in this boxed set had the same gear-- a stand, a phaser, and a communicator. The sculpts were all similar, but pretty good-- since this was an era where almost all figures were the same height regardless of scale, there's not a lot of room to really try anything special outside the figure's head. For its time, it was pretty good-- if you check out the close-up of the head, you can tell that the eyes have multiple colors of paint used to bring him to life, and his lips seem to have a little color too. The hair is sculpted just like on the TV show, and like most of Playmates' Trek line, the head and hands are exaggerated slightly. Since this is where a lot of the action will be on these figures, it makes sense-- remember, these toys were produced with a joint audience of kids and collectors. Depending on your poison, this is a must-have figure. If you don't like the Playmates aesthetic, skip it-- but if you like these figures, you positively have to get this set. The detail and wrinkles in his head are great, plus there has never been a larger, more encompassing line of characters from this particular sci-fi franchise. 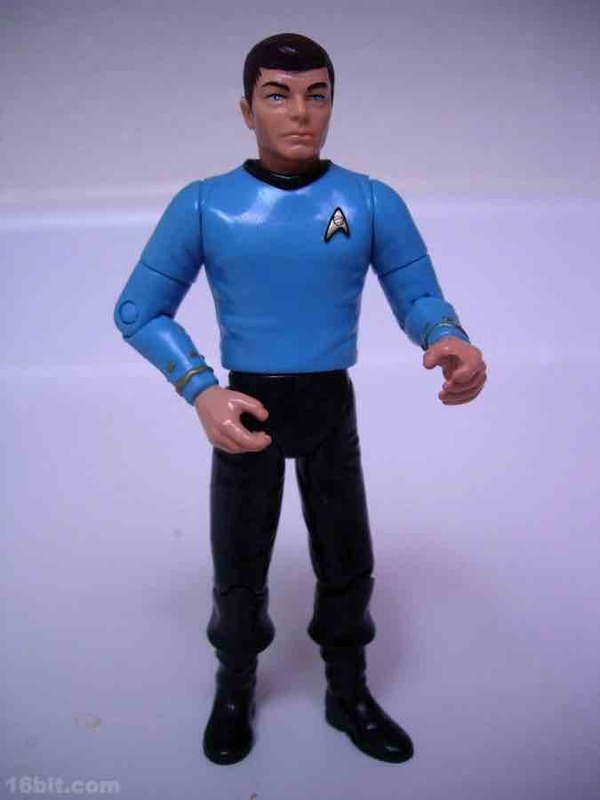 Maybe there will be one day, but an announced classic 3 3/4-inch figure never made it to retail when Playmates suddenly pulled the plug on its mass-market Trek license in late 2009. For the time being, this line is the best toy line you can get, so be sure to snag the set on the cheap as it's presently worthless.